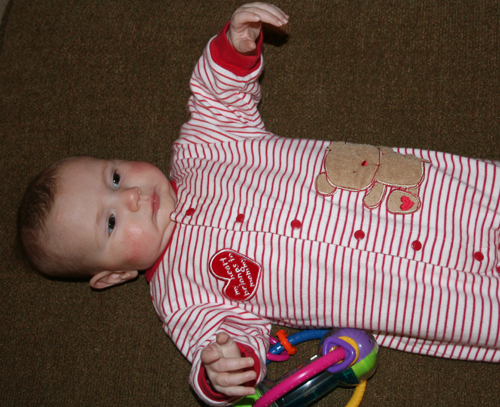 Mommy put the girls in red to celebrate Valentine’s Day and then tried to get photos of the girls. Neither were interested in posing for photos. So we have what we have. 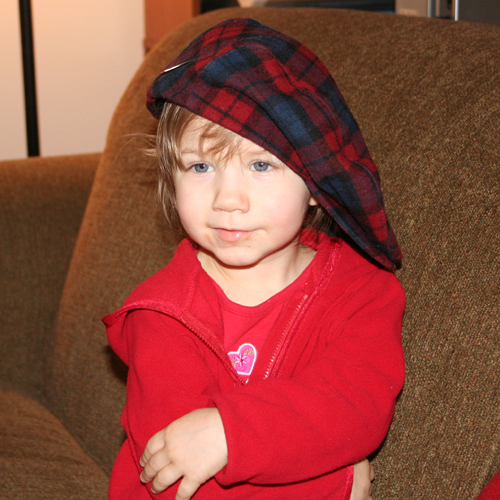 Emily stole her Granddaddy’s hat and consented to look in the direction of the camera. We thought that she looked like a rock star with the hat, arms, and attitude.